You are here: Home / wedding gift registry / Wedding Registry and Honeymoon Planning at Boscov’s…a perfect couple! Wedding Registry and Honeymoon Planning at Boscov’s…a perfect couple! We seriously believe that going on a honeymoon and curating your wedding registry are by far the two most exciting and fun aspects of your wedding planning process. We are super thrilled wedding experts at Boscov’s had the best idea ever – they combine both of these exciting perks in one location! Yup, with Boscov’s, now you can plan your dream honeymoon and set up your fabulous gift registry at the very same time. A total win-win! 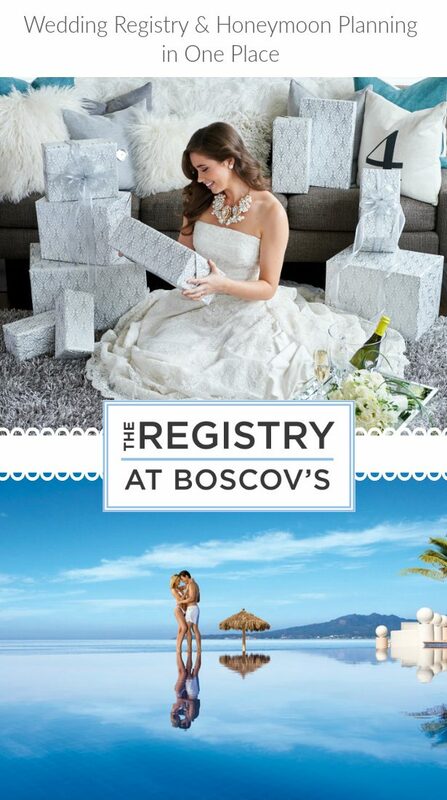 You can even sign up for a travel registry in conjunction with your Boscov’s gift registry so your friends and family can choose to give you gifts for your newlywed nest or give you the gift of travel! Boscov’s knows that creating the perfect wish list for your new home together, although being so much fun, isn’t always easy. So they have a dedicated wedding registry consultant in every store, ready to assist you in creating and managing your wedding registry. And with a huge selection of home essentials, from pretty home décor to must-have kitchenware, there’s truly no need to register anywhere else. But before you enjoy all those amazing wedding gifts, you must go on a trip of a lifetime with your honey – your honeymoon! That is where Boscov’s Travel comes in. With a full service travel agency located within select Boscov’s stores, they can take care of booking every aspect of your honeymoon for you. 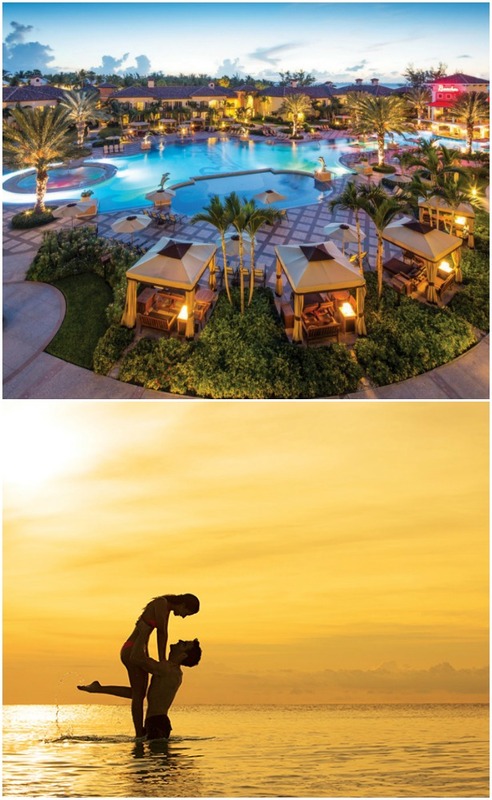 Plus, they don’t charge for most full service vacation planning packages, meaning they handle all the details so you can focus on your big day. The best part? If you are thinking about getting married abroad, the knowledgeable travel specialists at Boscov’s Travel can help you plan the destination wedding of your dreams, as well. Talk about one-stop wedding shop! The wedding registry and travel department are more closely related than simply living together under the same roof. When you open your wedding registry, you can register for Boscov’s gift cards. 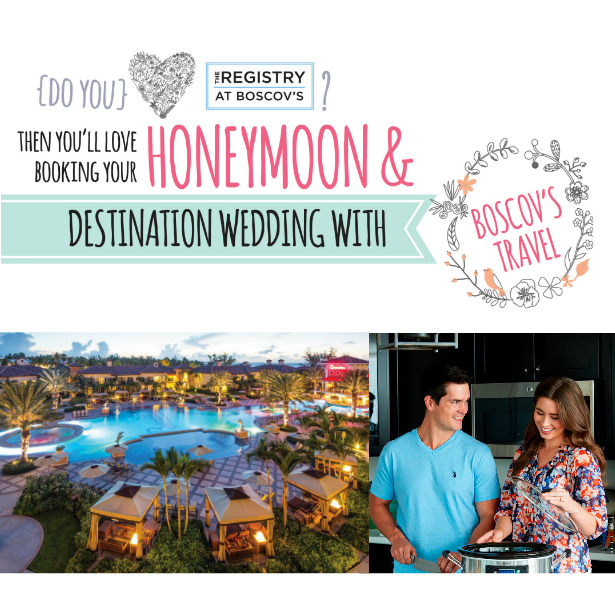 You can use those gift cards not only to purchase items off your registry but also when paying for your honeymoon with Boscov’s Travel. It’s the ultimate wedding planning experience in flexibility and convenience, combined with the level of service you’ll receive from registry and travel specialists. What are you waiting for? 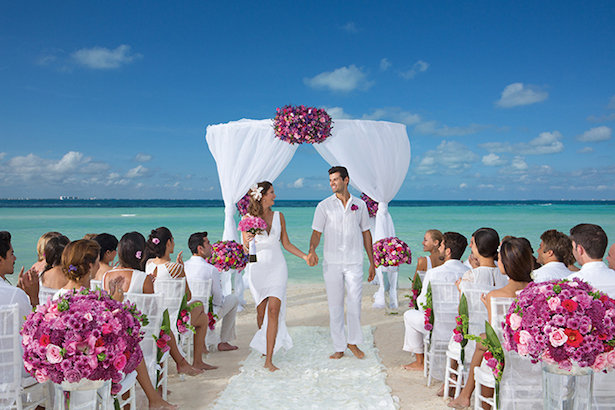 Visit your nearest Boscov’s today and start your dream wedding registry and honeymoon plans. This post has been sponsored by Boscov’s in partnership with Bride Click but concerns our own opinion. Thank you for supporting our partners.